The colourful stones are from the bed of the Zymoetz (Copper River) downriver from the Copper River bridge on Yellowhead Highway 16, 15 km. (9.3 miles) east of the City of Terrace. This is the natural colour of the stones and the colour from one of them has been extracted to form the background colour for this page. 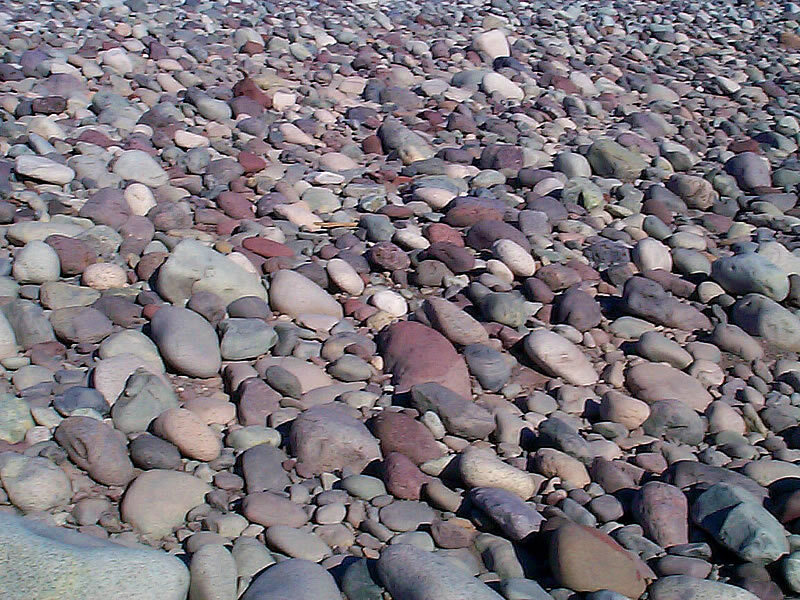 These stones also form the background pattern for the Copper River photos home page (photo thumbnail index). Photo © Elaine Fleischmann.